Bank of America's $17 Billion Settlement. | The Law Office of Emil Fleysher, P.A. Bank of America’s $17 Billion Settlement. | The Law Office of Emil Fleysher, P.A. 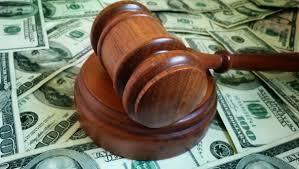 Home Blog Debt Bank of America’s $17 Billion Settlement. Bank of America’s $17 Billion Settlement. The sum of money that is being paid by Bank of America and its partners in the settlement, is not nearly enough to cover the damages done due to the housing bubble bursting and the continuing recession. Officials intimately close to the case have stated that Bank of America has come to a record breaking $17 Billion settlement to conclude the investigation in the role of selling the mortgage-backed securities prior to the 2008 financial fiasco. An official, who requested to stay anonymous, stated that Bank of America will come forward with $7 billion in consumer relief and $10 billion in cash. In the last yet Citigroup had a settlement of $7 billion and JPMorgan Chase & Co. had its settlement for $13 billion and like Bank of America, their settlements were distributed in both cash and “credits” for consumer aids; however, Bank of America has at the largest settlement deal thus by at least $4 billion. The negotiation was done through a joint state and federal working group created by President Barack Obama 24 months ago along with the Justice Department and several other state and federal authorities. The settlement proceeds are expected to be shared among the participating states. Bank of America must admit that it had severely misguided the quality of the mortgage-backed residential securities by Merrill Lynch, Countrywide Financial and itself as part of the deal. The settlement is designed to accommodate those individuals whose mortgages were combined into securities by Bank of America, Merrill Lynch, and JPMorgan Chase & Co and then sold to investors. The securities were endorsed as almost safe investments, although the residential-mortgages included homeowners who were questionable at best about repaying their loans, until investors experienced the market crash and lost billions of dollars. The lack of quality of the loans kick started the recession in 2007 causing enormous losses for the investors and an abundance of foreclosures. The monies actually being paid by the banks responsible for these dubious practices are not nearly enough to cover the damage done due to the housing market and economy during the subsequent recession. From 2004 to 2008, the three banks combined provided $965 billion is mortgage-backed securities. Countrywide issued about 75 percent of that total. Bank of America disputed that its liability for the sub-prime mortgages provided by Merrill Lynch and Countrywide. Bank of America was charged, in a federal lawsuit in 2013, for distorting data about the underlying mortgages and defrauding and failing to disclose risks of the residential mortgage-backed securities to its investors. A civil action was also filed by the Justice Department against Bank of America claiming it violated the Financial Institution Reform, Recovery, and Enforcement Act.